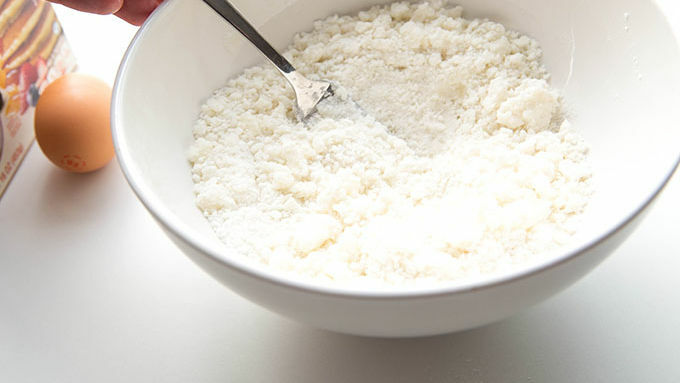 Preheat oven to 450° F. In a large bowl, combine Bisquick™ Gluten Free Mix and butter together until coarse crumbs form. Add egg to mixture, using a fork to work it evenly into the crumbs. Add water to the dough, stir until well mixed, then gather the mixture into a ball with your hands. 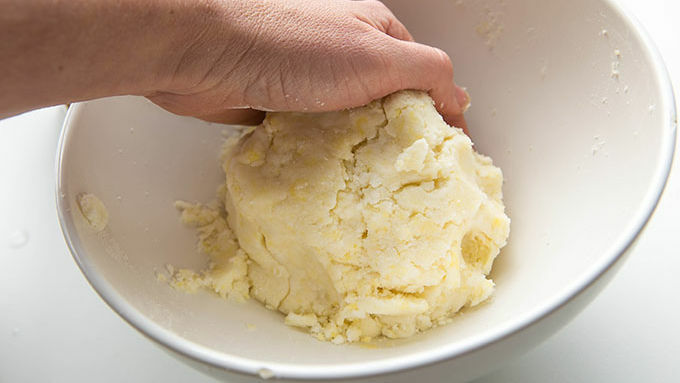 If the dough isn’t sticking together, add teaspoons of water until the dough is no longer dry. Place dough on top of a large piece of parchment. Cover with a second piece of parchment. Roll out until 1/4-inch thick. Transfer into a 9” pie plate. 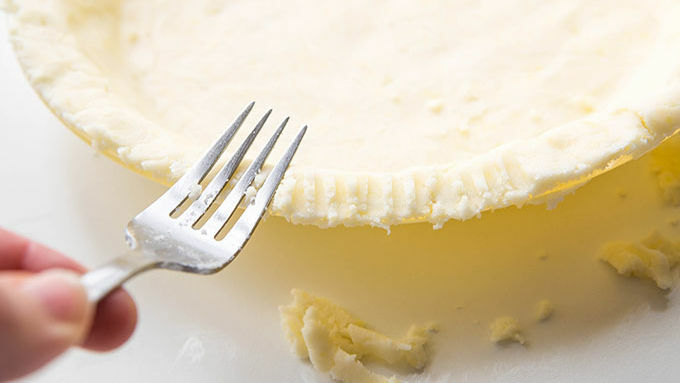 Cut extra edges with a sharp knife, add a decorative touch by pressing edges with a fork. Bake for 8-12 minutes, or until golden brown. Fill with your favorite pie filling. This recipe makes one crust, so if topping your pie with a second crust, you’ll want to double this recipe. Gone gluten-free but can’t imagine life without flaky, buttery pie crust? I hear you. Growing up, my family was wackadoo-in-love with homemade pies. Especially Grandma’s mincemeat pie or Aunt Paula’s pecan pie. So, imagine my franticness to find-a-way when I went gluten free. 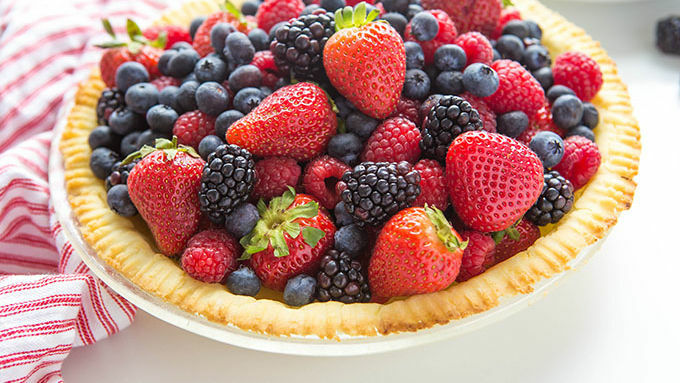 Hunting down a super simple, totally foolproof gluten free pie crust was as mandatory as life. Or breathing. Or midnight snacks at midnight. The problem? Most gluten free crust recipes were all sorts of weird. I just don’t keep tapioca flour on hand, thank you. Nor do I want to mix up a whole batch of specialty ingredients just to discover a pasty, gritty pie crust. (Which happened far too many times, I tell you). So, when I hit the kitchen and declared I wouldn’t leave until I’d created a perfect and simple gluten free crust, it was me against the world. Or pie. Or whatever you’re up against when you decide to make things with a bowl, fork and lots of butter. After three trial batches, the grand breakthrough came when I added egg and coconut oil to Gluten-Free Bisquick™ mix. With just three totally-have-‘em in my pantry items, I suddenly had a rollable, golden dough, which baked up with a hint of sweetness and just the right amount of salt in each bite. 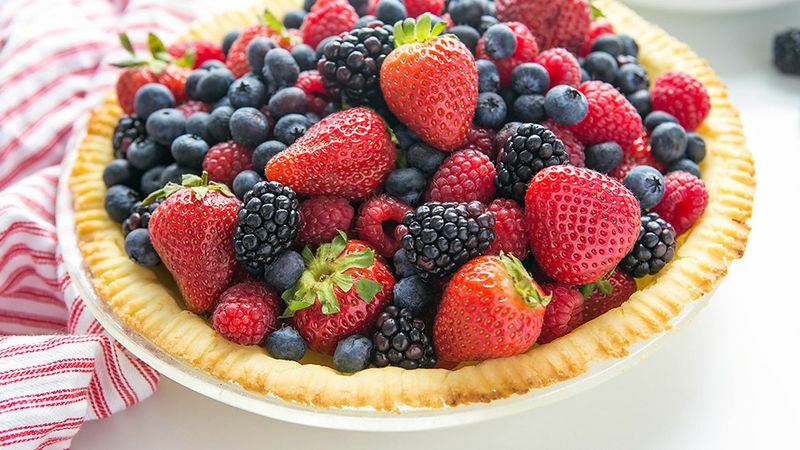 Pie love. If you’re eating g-free, I implore you to grab a rolling pin and prepare to meet the nicest little gluten free must-have you’ve ever met. Easy, 3-ingredient lineup here. Now, most pie crusts don’t have egg, but because we’re using a gluten-free baking mix, a little extra binder is needed to make a roll-out crusts. Pie Purists: Worry not. Because the g-free baking mix is already rather crumbly, the addition of an egg does not lessen the flaky perfection in this recipe. Even with an egg, you’re about to end up with a totally pride-worthy crust. Promise. Then, fill as you please! This crust bakes up just like your favorite classic pie crust in any recipe you enjoy. Only, every bite is filled with a mildly sweet, flaky crust… and not one ounce of gluten. Ba-boom.